There's not really much to tell about life over here at S&G HQ, it's been pretty calm. I just got back from Italy (It was amazing!) and Shadow just got back from Israel. 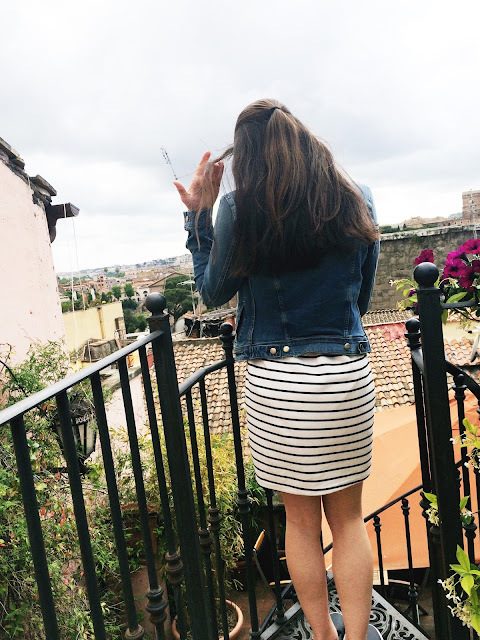 This is the outfit I wore on the first day in Italy, when we went to see the Spanish Steps and do a little shopping. I love the shirt dress style that dress has, it's super on trend right now! Shadow and I have been trying to do a little housekeeping here at HQ, so don't be surprised if you see a few changes happening on the blog! I guess that's really all that's been going on around here, like I said it's pretty calm.